★ ★ ★ ★ ★ We had such a wonderful stay. Great for entertaining and good location to get around to the tourist sites of the island. The beach was a big plus. We went at least once a day. The house has everything you need to cook or entertain. We loved looking at all the neat decor items. Would stay here again!!! Carol and Roy are great hosts and are always around to help if needed. Its definitely a 5 Star rating. My family and I visited B.C over the summer and stayed at 5 different vacation homes and without a doubt, Roys and Carol home was the best. In fact, it may have been the best vacation home we have ever stayed at. We especially loved the little touches, such as the unique artwork, the high ceilings, the proximity to nature/beach. Perfect for families looking for a relaxing and fun vacation. Thank you Roy and Carol for a most memorable experience. A great place to relax and enjoy the natural world! Our extended family had a wonderful time exploring the beach and many trails nearby. There were activities nearby for every age group. And then there was the joy of returning to such a beautiful and thoughtfully appointed home. Perfectly suitable for familes with children or adults just wanting a relaxing time away. The highlight for us was the young deer who came regularly to feed just outside the living area. Excellent owners, accommodation and location. The suite was perfect for our family’s needs. The kitchen was well appointed with all the dishes, bake wear ect. Well thought out vacation rental. Our family had the perfect stay at Carol and Roy's home. We had such a fabulous experience, we wanted to extend our visit. If you appreciate a very thoughtful hosts who have covered every small detail to ensure you have a luxurious, meaningful visit, then you will appreciate saying at this home. We have a family with two young kids. There were toys, board games, beach toys, beach towels, bike, wagon! The forest behind had deer, rabbits and many fascinating adventures. The beach is amazing. In the home it is clean, neat, filled with art and literature on BC and related issues of importance. The space is open, spacious and easy to move around, especially with two kids! The large windows allow you to appreciate the beautiful scenery when inside. Fine details that really impressed us were: hooks for you towels and clothing in the washroom, plenty of nice towels, soap, warm floors, privacy and nightlights! In the bedroom, there were mats on the floor on either bedside so your feet were comforted when first touching the floor. There were complimentary bath robes, and suitcase bench. Bedside table and lamps as well as plenty of empty drawers to store your belongings. It is great to have laundry and a drying rack as an added benefit! The kitchen is filled with quality appliances and even a section for the manuals in case you need to familiarize yourself with the products like fireplace, blender etc. There was even a monthly tide chart. So helpful! Coming in from the beach was easier with the bench inside the door and plenty of hooks for coats etc. Recyclable shopping bags were also provided for quick trips to town for groceries. We really enjoyed our stay and it is the fine details that made it a luxurious stay while making us feel right at home at the same time. Wonderful! Just what we were looking for. ​We had a wonderful stay at Carol and Roy's with our 2 young children. Beautiful space, clean and very prompt responses from Carol. The extra amenities for our small children made it very easy to walk to the beach. We would absolutely love to come again! ​The unit is very well equipped, tastefully decorated and clean as a whistle. And Tanglewood is a great location for a relaxing vacation. We were very satisfied. A beautiful spacious home situated in a very special destination in BC. Will definitely go back! Great location for Rathtrevor Park ocean-side walk. Beautiful decor, well accessorized from cooking to music listening. Very comfortable bed and furniture. Fireplace is nice for cozy lounging. Very quiet all day. Looking forward to our next visit. We spent 3 fabulous days here in early March. From the moment we stepped through the door, it felt like home. This is by far the cleanest VRBO we’ve stayed in. The unit is extremely well equipped including a basket of knitted slippers (we were quick to slip some on given the weather). Close to the beach and nice pub where you could find delish meat pies, good beer and the cheapest single malt scotch you’ll find anywhere! Had a great time, we will be back! Very clean and comfortable unit. High end finishing's and fully stocked. 5 minute walk to beautiful beach and walking trails. Really enjoyed our stay. Would Highly recommend to others. Wonderful guest house - felt like home. My husband and I enjoyed every moment in this beautiful guest house with all the amenities and comforts you would ever want. Even with inclement weather it was the perfect place to spend our time in Parksville. Many thanks to Carol and Roy for such a delightful experience. ​We spent 5 days on Vancouver Island visiting family and had the pleasure of staying at Carol and Roy's lovely place. It has everything you need for a wonderful stay. The home and the location are ideal. Plenty of room for the 6 of us and a short walk to the beach. Would love to come back in the summer. We highly recommend the place. Beachwalk is like a five star hotel suite with a gourmet kitchen. The beds, bedding, and bathrooms are top notch. The home's kitchen is very well equipped, with top quality pots, pans, and utensils. The location is super quiet with a densely forested section of Rathtrevor Park just steps from your patio, and the beach is just 250 meters from your front door. We loved it and will return! This was our first stay at Beachwalk Guesthouse. ​We booked the week of Nov 5-12, 2017. Our host Carol was very prompt with our request and the booking process was very easy. From the moment we walked in the door we knew we made the right choice. The home was spotless and very comfortable. It had all the comforts of home and the kitchen was perfect for preparing a meal. It's located in a great area close to everything and so very quiet. We will certainly be returning in the future. ​We had the most amazing time spending a week at this beautiful property. Had everything you could ever need. The high ceilings and stunning views of the forest were just mesmerising. A home away from home. Close enough to town but still far enough to enjoy the peace and quiet. It was great to be able to have a swim at the resort next door . Everything has been thought of. Highlight for us was the little touches, the pumpkin at our door made our day upon arrival. Thankyou so so much Carol and Roy , we will be back for sure with all our other Australian friends! . This is one of the nicest places we have stayed with VRBO. Excellent location, quiet street and a short walk to the beach. Everything is of high quality and well cared for. The house was perfect and in a great location. The rooms are spacious, comfortable and well equipment. Rathtrevor beach is walking distance, and we went a bicycle trip to Qualicum Beach. It was hard for us to leave this beautiful accommodation. ★ ★ ★ ★ ★ Our stay at The Beachwalk was great. Everything you could possibly want or need has been thought of and provided. The home is so tastefully appointed throughout. We will definitely return and we have encouraged a number of friends to plan a stay at The Beachwalk. Thank you Carol and Roy for opening your home for us to enjoy! This place is beautiful and well equipped for families. It is very clean and quiet and is perfectly located right near Rathtrevor Beach, with everything you need for beach lounging and exploring provided. It is a great location for so many day excursions: Horne Lake caves, Nanoose Bay tide pools, whale watching from Cowichan Bay, Qualicum Beach, Cathedral Grove...We had a lovely holiday here and would definitely recommend for other families! ​My husband and I stayed here for a week in August and it was perfect. We had our 1 year old with us and the townhouse was a perfect setup with everything that we needed, even a basket of children's toys which he loved. The location was great in that it was only 5 mins to the beach, and there was a large wagon we were able to use to take all of our beach gear with us back and forth. The evenings were lovely sitting on the back deck looking into the Forrest. My family was camping next door at Rathtrevor so this was the perfect location for us to meet them each day at the beach and walk back and forth to the campground. I would highly recommend this rental to anyone, it truly was perfect. ​We, my wife our two kids (5 & 7 years) and I, had a relaxing and very enjoyable 9 days at Beachwalk Guesthouse. The guesthouse is very charmingly decorated with all amenities that one could ask for. The main bedroom had a spacious king size bed (something rare across North America) with en suite bathroom. Kids room was more than adequate with queen sized bed and bathroom. Location was fantastic for the beach that was a very short walk. 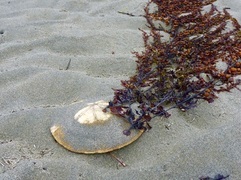 We spent most of ours days exploring the beach and kids were fascinated with the tidal cycles and kite flying. Parksvillle is very close by with good services. We shopped mostly at Thrifty as it had a great variety and locally sourced meats, fish and veggies. As such, we mostly cooked at the guesthouse (I love gas cookers) and also used the Weber grill frequently. Overall, we came away with a very positive impression of Beachwalk. Carol and Roy have put a lot of effort into the property that is truly rewarding and to be respected. This is great to see and made the stay that bit more enjoyable. We are planning another visit next year to VC Island as we did not have the time to see and do all we had actually planned. As such, we will look to plan another stay at Beachwalk. This was a beautiful place to have a holiday. ​The kitchen is amazing- everything you need. The beds are comfortable. We were there for a wedding so didn't get to utilize all the goodies for the beach that were in the shed. Very very nice. Beautiful home and close to the beach. The home was immaculately clean and beautiful. The entire home was decorated very well. The owners left keys to a storage unit off the home which had beach items, which was a wonderful amenity. The beach was about a 5 minute walk away. The grill outside was equipped with everything we needed. The home is about 2-3 km away from a grocery store, which they left reusable bags for us. We did not realize the town of Parksville shuts down VERY early. So, if you are used to eating at 7 pm or later, make sure you buy food to make at home due to lack of options that are open. The beach is beautiful with a stunning view of the mountains. Very quiet and peaceful area. About 30 minute drive to Cathedral Grove and a 15 minute drive to Coombs (which had great restaurants)! We loved how beautiful the area is and we're blown away by the views. We would stay again if we were in the area! ​Top of the line in every way. From the top end kitchen to the beautiful furniture & art work you can see the owners have made the effort to make this an outstanding home for their VRBO guests. The kitchen , living & dinning space is very open and bright . The master bedroom with insuite bath is bright & spacious with beautiful view to the backyard. The only decision that was difficult if you are 2 couples is deciding who gets the master bedroom. We decided with a flip of the coin. But both bedrooms have very comfortable beds. The location was central to places to explore. We spent 1 day in Ucluelet. Don't miss hiking the "Wild Pacific Trail". Another day we spent exploring Victoria.. The only regret we have is that we did not have more time to stay in this fantastic home. Het huis aan alle eisen voldoet het tot in de kleinste details het is een 10 met een griffel waard wat een mooi huis. ​Beautiful house right off the park. Beautiful house right off the park. It has everything you need to enjoy a vacation on the beach. We'd definitely come back again! The amenities are exceptionally thoughtful and everything is very clean. Great value for a beautiful place! Exceptional rental for our family of five! Terrific host with a well-equipped home. ​We rent in Parksville, and specifically in Tanglewood, every year. This rental was so good that we will be back as soon as possible! The house was set up like a home, with a wide variety of amenities for our family of two adults and three young boys (one infant). The linens and towels were well stocked, the kitchen was ready to accommodate all of our cooking needs, everything was very clean and tidy, and amenities were exceptional. With three kids to pack for, it was so nice to rent a place which provided so many extras for kids! Strollers, beach toys, air mattress, beach chairs, and so on. Beds were comfortable (and KING bed? yes please! ), washrooms were stocked with supplies. I truly cannot think of a single thing that I could complain about for this rental. Not one! Carol, our host, was very easy to communicate with both before and during our stay. Her friendly approachability was a delight. What I loved about this rental is how much it felt like a comfortable home to us. It took very little time to settle in and start relaxing. Absolutely book this rental and stay in Carol's place. You will be delighted. Awesome property. Beautiful location. Centralized location. Wonderful beds. The perfect Parksville Vacation Home! We loved everything about the Beach Walk Guest House! From the quiet location, to proximity to the beach - this one really has it all. The home was VERY clean, and the kitchen was wonderfully stocked. Our one year old daughter loved the toy box she found in the living room and had a blast taking the wagon from the storage room down to the beach. This is a great rental for families with young kids - mini golf and a playground are both only a 3 mins walk. We look forward to another family vacation here very soon! We had an amazing 10 day holiday and absolutely loved Carol and Roy's home. Everything you could imagine was provided and of top quality. The art on the walls and the beautiful wildlife and art books make this place feel like a home not a rental property. Although it was an unusually wet spring we had no trouble hiking Englishman River Falls, Cedar Grove and Qualicum Falls - all worth doing! Our meals out were all very good and included: The Black Goose, Leftys, Kalvas, Cuckoo, French Creek Marine Pub, and British Bobby restaurant. Touring around was easy and loads of fun but coming back to our cozy place to enjoy the fireplace and gorgeous view out the back completed every day beautifully! You can't go wrong at Carol and Roy's and not only will we be returning we will recommend it to anyone looking to travel to Parksville. ​Quiet location, well equipped two bedroom home. We were up for the Brant Carving Show and were lucky enough to be able stay in this modern two bedroom/two bath home. I would highly recommend it! In fact I would like to book it for next year's show. It is like stepping into somebody's well equipped personal home. There was not a thing that we needed besides bringing food and beverages. Quiet location but very convenient to everything in the Parksville area. Unbelievably perfect facility as home away from home! ​We have been privileged to stay in a beautiful home  . All amenities plus the thoughtful care to details. We can't say enough good things. We will be back. We will definitely stay here again and will recommend to everyone. From the first moment we opened the front door to the moment we closed it as we departed - we were awed by this beautiful property. We immediately felt comfortable - like we had arrived home. The design and decor is fabulous - the attention to detail, the quality of the furnishings and linens, the art that adorns the walls in every room. This was a luxurious experience for us - quiet time away from the everyday. We love to cook while away on vacation and this kitchen did not disappoint. We have rented many homes in the past and I can say without doubt that this is the most well appointed home of all. The king sized master bed was so comfortable, the heated floors in the bathrooms lovely. We appreciated the attention to detail, including the home owners commitment to living green. There is plenty of reading material, lot's of games to enjoy, storage area filled with fun things to further enjoy one's stay - bikes, beach equipment etc., and a very helpful manual to guide our stay. Carol and Roy were pleasant to work with and everything regarding the details of the rental process went smoothly. We will be back for sure and have no reservations in recommending this property to others who are discerning renters of vacation properties. You will not be disappointed. Thank you for the opportunity to stay in your lovely home. Just 200 metres from Rathtrevor beach park (which [is] gorgeous). Super clean and welcoming. The process of renting Beachwalk Guesthouse from Carol and Roy was very smooth, quick, and had very detailed info on rental rules and regulations. From the initial email, phone calls and all my email questions, she responded to all very quickly. The townhome was very modern, clean and well maintained. This 2Bd/2 Ba townhouse was very spacious - sharing with 5 other women for our 3 day Girls Get-away. The king bed in the master, queen in guest and sofa bed in living room, were very comfortable and all had lovely bedding. Kitchen was very well equipped with good quality dishes, pots and pans, cutlery and glassware, with everything we needed and more. It was nice to have placemats, napkins, paper towels, foil, coffee/filters, tea bags/sugar, spices, soaps, cleaners, etc. available. I don’t think that there was anything that we didn’t have, they have thought of it all! Of course having a gas BBQ on the patio was a bonus. We did use it one of the nights, even though it was snowing outside! All very modern appliances – stove, refrigerator, microwave, dishwasher, washer and dryer and lovely fireplace. Lots of towels/face clothes for both the bathrooms, and don’t forget the bathrobes. We had booked to use the 2 bicycles but of course with the snow we were not able to try them out. The unit was very quiet as was the whole complex. And with the view from the windows, it was like you were in the middle of the forest. We all took advantage of the Tigh-Na-Mara Spa, which is a very short drive away or walkable, for their Girls Get-Away Package with Tapas Bar – fabulous! This certainly is the right area to stay in if you want to be close to the beach, shops, spa, restaurants, etc. Carol and Roy you have a very lovely, updated and well decorated home and you can tell you take pride in it. You have thought of everything to make it a very memorable vacation retreat and it is so nice that you share it with others. We would definitely stay here again and would definitely recommend to others. ​We absolutely loved staying at the Beachwalk. Booking was easy and instructions clear so that we had only to concentrate on enjoying our weekend. On arrival everything you might imagine you could need was waiting. It was like coming home to someone who loved you. The warm colours, lovely furnishings, the window bench by the fire, the comfy beds....amazing. The kitchen is wonderfully outfitted with great appliances and wares. Seeing the little toys and dishes about the home made us smile , thinking of our grandchildren. We kept an eye on the big window watching for wildlife in the forest right outside. We cannot say enough good about the place and we would certainly recommend it to anyone. Thank you Carol and Roy for making such a beautiful stay possible. Our family recently spent Christmas at this terrific cottage in Tanglewood. Huge windows from the dining room and living room allow you to watch deer and squirrels in the woods. Very peaceful and quiet, no noise from the adjoining townhouse or the road. The home is outfitted with excellent kitchen supplies, beautiful artwork, comfortable furniture and helpful extras like laundry detergent, games and housecoats! A quick walk to a beautiful beach, and easy access to the pool and restaurant at Beach Acres. We loved our time and would definitely stay again. Realm food co- try any of their bowls! Samarai sushi- YUM! We tried a little bit of everything and were happy with it all. Overall it was a great trip and an awesome way for us to unwind from our hectic year at work and school. I'd definitely come here again! Oh! Also, there's board games available if you're bringing your kids along and tons of books to read as well. This place was exactly what we needed after a 14 hour flight and 2 hour ferry crossing. It is cosy, warm and literally had everything we needed. Although we did not cook dinners here, the kitchen is very well stocked and even has a few pantry staples. We marched our troops down to the beach in the snow and they loved it. With a pub and cafe nearby (both open year round), coffees and dinners were easily had. The listing was accurate, the property was spotless and well decorated, the owners were prompt, helpful and concerned for us when there was unexpected snow. I would recommend this property to anyone, especially families. ​Absolutely everything you could want or need in a vacation getaway. Loved it. The accommodation felt warm and homey from the moment we walked in. The high vaulted ceiling and large window made the main area feel larger and brighter. I especially enjoyed curling up on the long window seat, warming my feet by the fire and daydreaming as I watched for small wildlife in the forest belt right outside. The kitchen is very well stocked, the appliances are excellent, including the patio barbeque, and there are a variety of books and games even. We found the location to be perfect for our group of four adults; walking distance to the trails and beach at Rathtrevor Park in one direction and a ten minute stroll to a cozy restaurant and pub in the other. The shops and amenities of Parksville are only a five minute drive and the larger shopping centers of Nanaimo are about a fifteen minutes drive. We enjoyed our stay very much and I would highly recommend this property. My husband and I have rented homes and apartments all over the world and only 2 thus far have rated 5 Stars. I'm happy to report that the Beachwalk Guesthouse is now number three. The cleanliness, furnishings and attention to detail are outstanding. It's a beautiful home of which we would be happy to reside in. While in Parksville take advantage of all that nature has to offer, i.e. walking, hiking, beach combing, kayaking, paddle boarding, golfing, etc. Downtown Qualicum is lovely with its unique shops and Coombs is worth a look although it is going through a transformation and is no longer as quaint as it once was. Enjoy your stay. We had an absolutely amazing time here! The house is beautifully appointed, with all gourmet kitchen utensils that made cooking a breeze. Loved having all the games, books and movies for the kids! The owners were great in being accessible for questions we had and were always very quick to respond. The nearby beach (4 min walk) is perfect for kids young and old to explore! Other highlights of the trip were mini-golf and a visit to Coombs. We will absolutely be back here again next year! ! All was great. Only suggestion we would have is a small one. We come to the Island to enjoy the fresh seafood. We would suggest adding crab claw crackers and pokers, as well as an oyster shucking knife to the already well-equipped kitchen. The beach house is immaculate with exceptional bed's, bedding, towels & bath robes. The well stocked kitchen can easily prepare a meal for a crowd. The property is ideal for two couples and more room on queen hide a bed for extras. Lovely design and décor with incredible attention to detail. The professionally done website very accurately shows what the beach house looks like. The high vaulted ceilings & numerous windows give a bright, relaxing atmosphere. We found personal touches, such as beach chairs w' cooler, ample beach towels, beach toys an added benefit to the beautiful setting. I'd highly recommend this beach house!!! We will return ourselves! ​This place was spotless when we arrived in Aug 2016. It was equipped with all the amenities you need for a wonderful stay. We spent 5 days with our 5 and 10 year old boys at the spectacular beach that was a short 3 min walk away. If you have never been to Parksville you will be in for a great surprise with this magical place. It is perfect for kids as the beach goes for miles and the sand is second to none. The best part about this location is that when the tide is out the water is 400-500m away and all you have is sandy shore to explore. When the tide is in you can still walk out just as far with the water only up to your knees. The water is also crystal clear which allows the kids a perfect view of the bottom to catch the small crabs and snails that make this beach home all while in shallow water with no dangerous currents to worry about. The house itself is 2 bedroom 2 bath that had all the things you need to feel at home. The kitchen had all the utensils and cutlery needed to cook with and a new BBQ out back was much appreciated. The dishwasher made cleanup easy giving more time to sit and relax. The only complaint with the kitchen was that the frying pans were cast iron, very heavy and hard to clean. A set of non-stick would have been nice. A few more none perishable spices would have been good as well. A washer and dryer was a nice touch to keep up on laundry and all detergents and dishwashing cleaners were supplied, Thank you. We would highly recommend this place to anyone looking for a great safe spot for kids to explore and parents to relax. The area is very quiet with only local traffic and the house backs on a treed park. All in all a great location and holiday experience. We really enjoyeded our stay; with the hot weather, we spent lots of time on the beach, which is just a five minute walk. The guesthouse is well equipped and very nicely and comfortably furnished. Along with our teenage girls, we biked and walked the trails next door at Rathtrevor Park, along with visiting Coombs, Parksville and Little Qualichum Falls. Don't miss the beautiful sunsets on the beach! Superbly equipped and very comfortable, we had a lovely time at the guesthouse. Everything was spotlessly clean and in perfect condition and we couldn't have asked for more. The owners were super friendly and very accomodating for our young family, and the location was perfect - a short walk to an amazing beach and a beautiful forest. Highly recommended. This very spacious beach house has everything you need to feel right at home while on vacation. The kitchen, living room, dining room, bedrooms and bathrooms are of the highest quality. There is a variety of music and art displayed amongst the well thought out décor. It is quiet and meditative with trees and a sandy beach nearby. My family and I would recommend this beach house paradise to anyone and everyone! Stunning property in a beautiful setting. I was thoroughly impressed with this property. It made for an absolutely perfect stay in Parksville. The property itself is stunning and extremely well kept and clean. All the little details throughout made for an excellent vacation. The windows looking out to the forest made you feel like the place went on forever. I particularly loved the window seat for reading. Honestly, there wasn't one single thing missing from this place. The walk to the beach was quick and absolutely worth the effort. Parksville and area itself is a wonderful destination, especially for kids. All the conveniences are close by, yet you feel like you are in your own oasis on the island. Carol and Roy were easy and quick with every correspondence. I could easily see myself coming back to this place every summer. Beautiful, modern and relaxing home. "We had such a great time in this beautiful home! The location was great; only a short walk to the beach. The extras, including beach chairs and blankets, were put to use. The kitchen and whole home were well equipped with more amenities than we needed. We enjoyed the area, exploring nearby towns, markets and booking a kayak day trip. All four of us thought our stay in this home was the best part of our Pacific NW family vacation. Thanks, Carol and Roy!" Beachwalk Guesthouse is an absolute gem! Great location close to a lovely beach and a lovely, really well equipped property - everything you need for a relaxing break and a great base for exploring Vancouver Island. "We had a wonderful time at this rental. The owners were easy to email with questions and provided everything we needed. The property is beautiful and even more wonderful than the photos. We used the BBQ and it was great and also loved having little extras like soap and extra towels. The Beach is not far and although it was cooler weather in June, it was still nice and we found lots of little crabs and good walking trails. The rainy days we just relaxed inside by the gas fireplace--a favorite of mine! We came with 3 of our 5 kids age 21-12 and they loved the home as well. (They didn't want to leave and wanted to sleep in everyday!) The property is close to a lot of things and we were able to go to many little farmers markets around the area and do some sightseeing as well. Upon leaving, it was nice getting a little email from Carol letting us know we did everything right when we left! She really made us feel at home. I would come back in a heartbeat!" "We loved this place. The location is great and the place felt so cozy and we felt at home right away! Well set up for either a couple or a family. We brought our 2 kids and there were no issues other than us being worried our kids might wreck something nice. Would absolutely recommend this place to anyone going to Parksville!​"
"This is an amazing property in a beautiful and peaceful location. Carol and Roy were easy to contact and quick to respond and have thought of most of the little extras that you often wish you had when you are away. The vaulted ceilings and big windows add an element that is tough to describe and even better than the photos which was not our experience anywhere else on this trip. 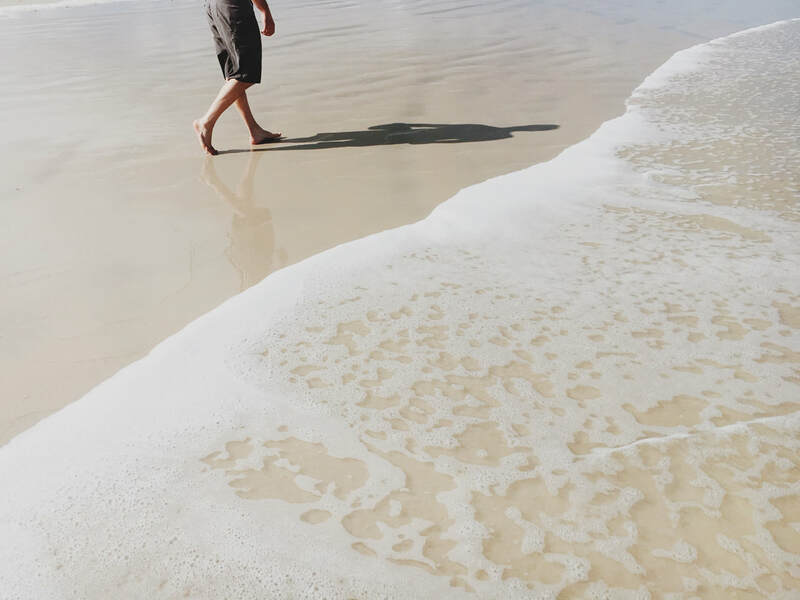 The walk to the beach is about one block and opens onto kilometers of sand and a low tide that goes out about 1 km which is great for walks and for family play as it was when we camped close by as children." "This is a wonderful place to rest & relax! ​So comfy- everything we could possibly need. Carol & Roy have thought of everything. Beachwalk Guesthouse is in such a relaxing setting- nestles at the edge of the forest and yet close to all of the things we wanted to do. Thank you! We'll definitely be back!" A highly recommended vacation destination. 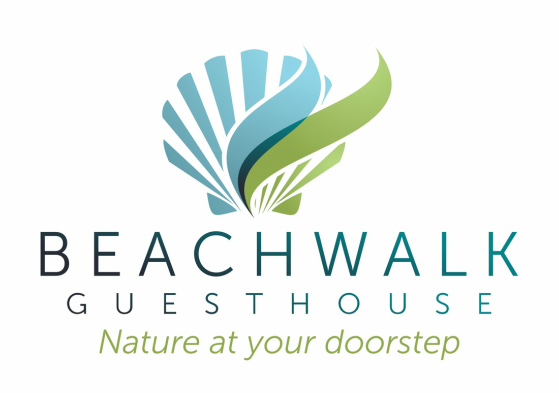 ​"We thoroughly enjoyed our stay at BEACHWALK Guesthouse. It was immaculately clean and provided everything we needed... Overall, this Guesthouse was gorgeous, serene, and inviting. The beach was just a short walk away, and because it backs onto a provincial park, nature is at the doorstep... We had an amazing time and great weather. This Five-Star luxury retreat is the perfect setting for a comfortable and memorable get-away, and we highly recommend it."